After a flurry of movies in the 2000s that somehow managed to be crowd pleasing works of animated entertainment and almost audaciously ambitious films, Pixar’s output has cooled as of late. A splat of sequels, prequels, and a token Disney Princess feature were all well made and quite profitable, but lacked the depth that defined Pixar as such a special dream factory. Thankfully, that streak is finally over. 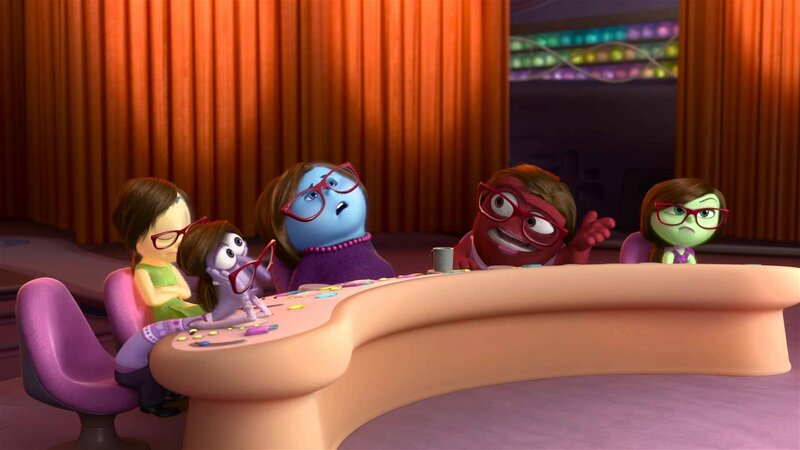 Inside Out doesn’t just feel like vintage Pixar, it has the potential to be remembered as one of the finest projects they’ve ever produced. It’s a wonderfully entertaining and colourful little high-concept comedy that packs a moral punch about how to deal with emotions that would take most adults a few decades of therapy to come to terms with. The film takes place within the mind of an eleven-year-old girl named Riley (Kaitlyn Dias). Her mind is represented as a control room run by a collection of emotions: Joy (Amy Pohler), Anger (Lewis Black), Fear (Bill Hader), Disgust (Mindy Kaling), and Sadness (Phllis Smith). A quick prologue establishes that Joy is the leader of the group and the first emotion that Riley ever experienced. Soon sadness joined her and as the girl grew, as did the number of emotions running her control switchboard. Her memories are collected in big balls defined by each emotion and Joy has been careful to ensure that all of the core emotions that define Riley’s personality have been influenced by her perky self. However, that all changes when Riley’s family moves to San Francisco, tearing her from her friends, hockey, and even pizza without broccoli. 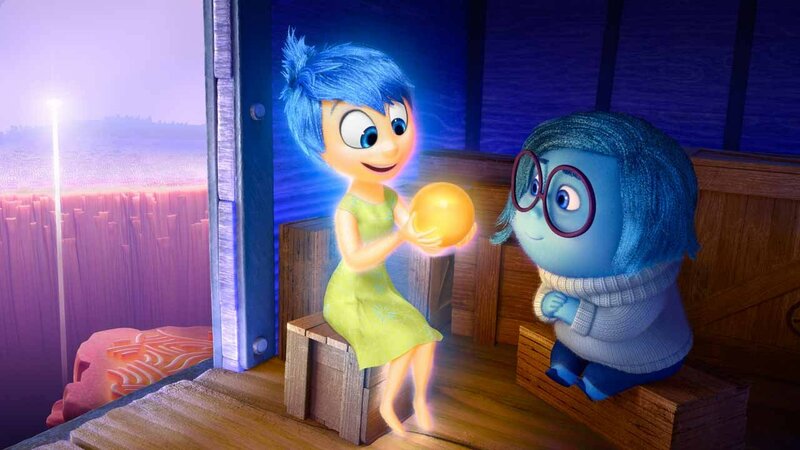 This creates a new core memory spoiled by Sadness and when Joy tries to stop it, the two conflicting emotions are sucked out of the control center and into the deepest recesses of Riley’s mind. Fear, Disgust, and Anger take over Riley during this difficult time as Joy and Sadness rush through the girl’s imagination, subconscious, and dream centre fighting their way back home. 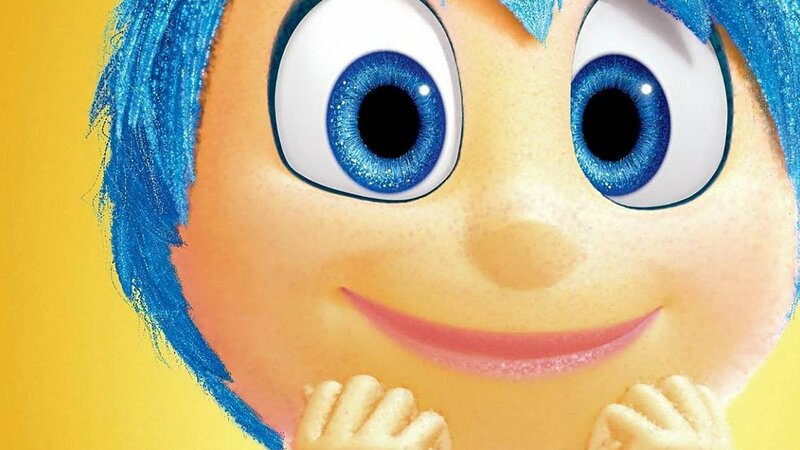 Like all great Pixar movies, Inside Out works on two distinct levels. The first is as a colorful adventure comedy the likes of which the folks behind Herman’s Head could only dreamed to have made. The emotions might be stock characters limited to their namesake defining traits, but they are so cleverly designed with voice actors cast so perfectly to type that it’s hard to notice. Obviously getting someone like Lewis Black to play anger is so perfect that it practically takes care of itself, but the real coups are Amy Poehler (who approaches her relentlessly optimistic role with just the right shade of irony to keep her from ever becoming annoying) and Phillis Smith (who deadpans the role of sadness perfectly and movingly). The writers, filmmakers, and animators clearly had a ball designing various aspects of the human mind as giant sets, serving up some inspired gags (such as Riley’s hysterical dream boyfriend or the ingenious movie set vision of her dreams) as well as a few adventurous set pieces to keep the pace pumping. There are also some wonderful characters around the edges, especially the melancholically funny Bing-Bong (perfectly voiced by the great Richard Kind), Riley’s imaginary childhood friend who embodies the film’s theme of letting go of childhood in the quest for maturity. 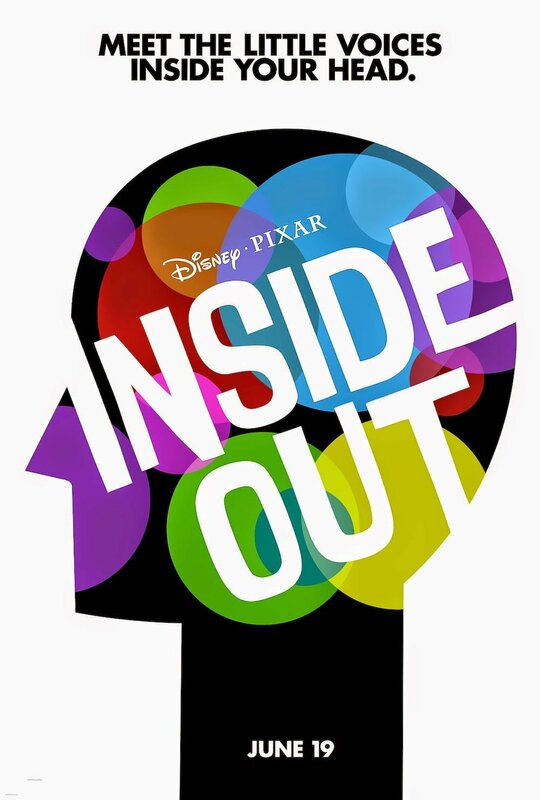 Of course the other level that Inside Out works on is an emotional/intellectual level that’s even stronger. 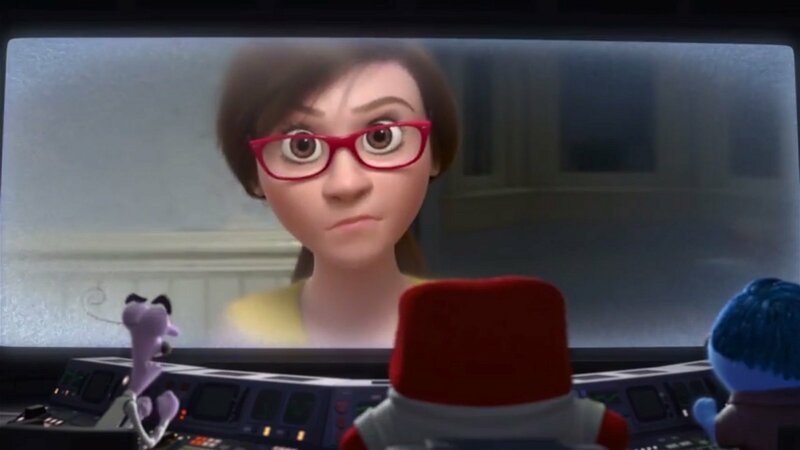 The central metaphor of emotions controlling behaviour is strong and one that the Pixar team tease out in wonderful ways both big and small (even seemingly throw away choices like the order to which the emotions enter Riley’s mind or the way her mother’s mind is controlled by Sadness and her father’s by Anger speak to deep truths that some viewers might not even notice until repeated viewings). However, the central moral that co-directors Pete Docter and Ronaldo Del Carmen (who previously made Up! together) is a real doosey. The film is ultimately about the importance of letting sadness govern our lives as much as happiness and how embracing both extremes fosters emotional maturity. That’s a pretty complex message to squeeze into a frothy bit of animated summer entertainment, yet the filmmakers do so in such simple and eloquent ways that make the message poignantly clear. As you can imagine, since the movie came from Docter who previously delivered the tearful conclusion to Monsters Inc. and the gut-wrenching opening to Up!, audiences of all ages will get a pretty intense case of the feelies by the time the credits role. 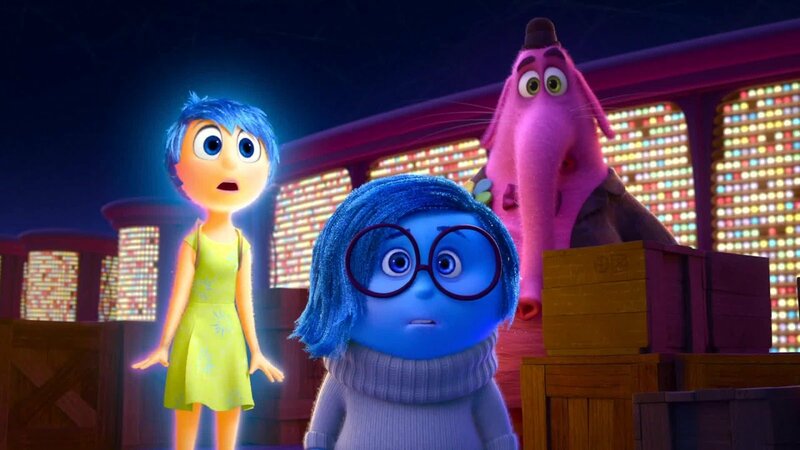 Inside Out is weep-worthy, devastating, and thought-provoking, yet somehow also cheerfully entertaining and wildly creative. You know, just like a Pixar movie. There was a period when the studio managed to perfect and repeat that formula in such wildly different permutations that it was almost easy to take them for granted. 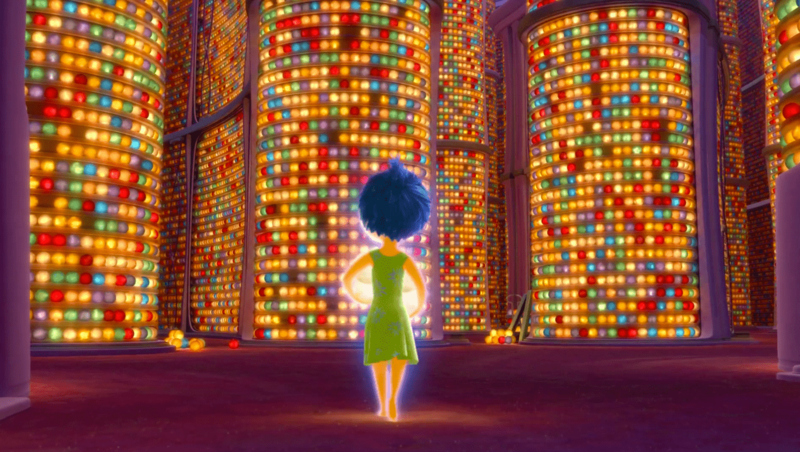 After a few years of more modest fair, Inside Out feels just that much more special. It’s rare that any movie would do so much so well, let alone something that also offers beautiful CG animation and a story both simple and complex enough to work for seemingly any audience. This is a truly special summer movie. One that will delight kids almost as much as a barrage of dinosaur attacks and give their parents reason to devolve into blubbering tearful messes before re-evaluating the way they carry their emotional baggage over the drive home. That’s not easy, even if Pete Docter and co. make it feel effortless. 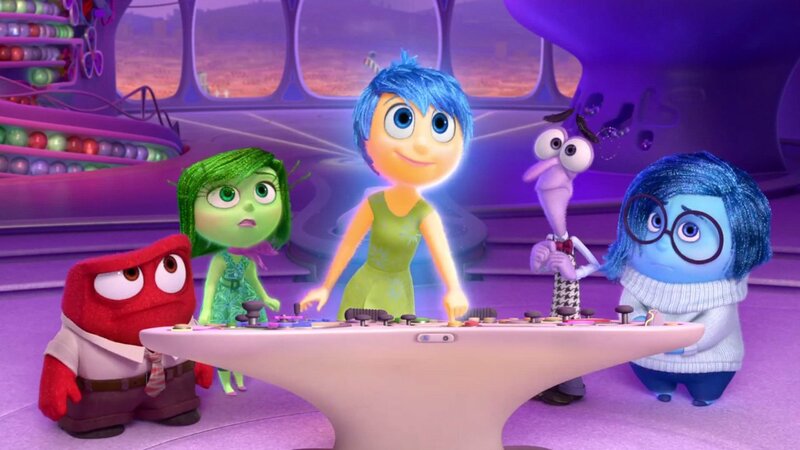 Like all great Pixar movies, Inside Out works on two distinct levels. The first is as a colorful adventure comedy the likes of which the folks behind Herman’s Head could only dreamed to have made.